The CM and state’s home minister Bhupendra Singh chaired a meeting of senior police officials at Madhya Pradesh police headquarters (PHQ) to review law and order scene/crime cases. BHOPAL: Chief minister Shivraj Singh Chouhan and state’s home minister Bhupendra Singh chaired a meeting of senior police officials at Madhya Pradesh police headquarters (PHQ) to review law and order scene/crime cases, particularly the rising incidents of crime against women. While the CM was focusing on promptly and sternly dealing with cases of crime against women at the conference hall of police headquarters, two women, including a police constable, who alleged sexual assault and exploitation by two police officers were not allowed to meet the CM at the PHQ. While one of the women, a 26-year-old constable posted at the state PHQ has alleged sexual harassment by an additional SP rank officer (also posted at the PHQ), the other women, a middle-aged resident of Bhopal, has alleged sexual exploitation over 11 years by a deputy SP rank police officer posted in Indore. High drama unfolded outside the new PHQ building as the Bhopal-resident woman, who is the mother of a 13-year-old son cried for action against the DySP rank officer, who she alleged had secretly married her and sexually exploited her between 2005 and 2016. She alleged that the police officer had even put her picture and signature as her son’s father in the school admission form of her Class VII student son. “He married me secretly and put sindoor (vermillion) in my forehead, but since December 2016, he has not only detached self from me and my son, but along with his legally wedded wife and brother-in-law has been threatening to kill me and my son, if I made the matter public. He along with kin even assaulted me and my son inside my house in Bhopal in December 2016,” the woman alleged. “Since a year and half, I’ve been running from pillar and post, from one police official to another in Bhopal for action against the officer, but no one is ready to help me. If anything happens to me and my son, the police officer posted in CID Indore and his family will be responsible for it,” the tearful woman said while being escorted out of the PHQ by the female cops. The woman alleged further that to gag her voice, the police officer had submitted a complaint about being blackmailed by her and she using his forged signature and picture to show him as the father of her son on school admission form. The CM, when queried by the journalists about the two women not being allowed to meet him while he was chairing the meeting inside, said “I’m ready to meet anyone and will certainly meet them. 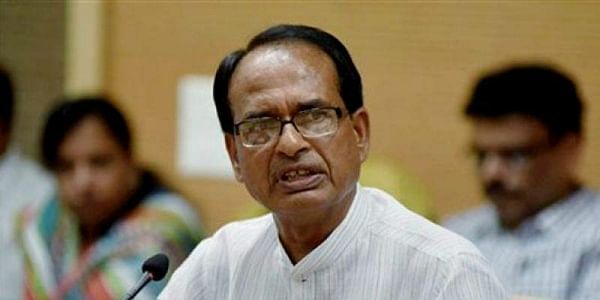 I’ve asked the home minister to look into the matter,” said CM Shivraj Singh Chouhan. On the other hand, key sources at MP police headquarters told The New Indian Express that the woman constable posted at the PHQ had recently complained to ADG-Crime Against Women, Aruna Mohan Rao about being regularly harassed sexually by an ASP rank officer at the PHQ. “A committee has been constituted by the ADG to probe the matter and based on the committee’s report action will be initiated in the matter,” a senior state police official said. Earlier, the CM chaired the law and order, security and crime review meeting at the PHQ with senior state police officials, including DGP RK Shukla. At the meeting, the CM took up several issues and directed the cops to promptly act in cases of crime against women, ensure proper security around girls schools-colleges and hostels.